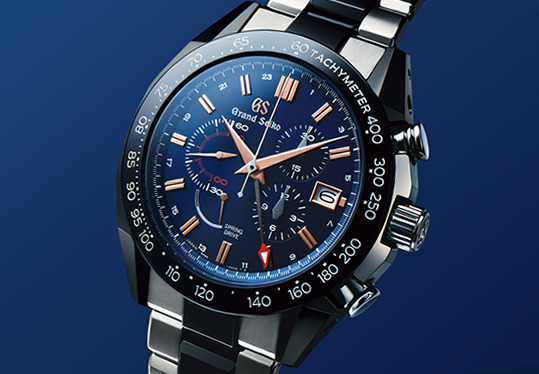 In 2016, Grand Seiko expanded into the sports realm by presenting a limited edition of four Spring Drive watches executed in a dramatic combination of high-intensity titanium and zirconia ceramic with crocodile straps. This series was widely admired. 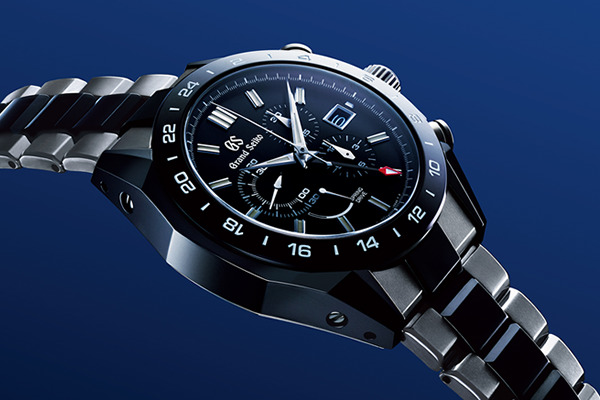 For 2017, Grand Seiko will further widen its appeal of the brand and enrich the variation in the sports arena. Three new creations are added, all with the same sports design and a remarkable new hybrid titanium-ceramic bracelet construction. 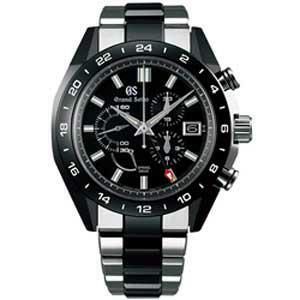 The new series also features a more powerful dial design with the Grand Seiko logo under the eleven o'clock position. This new collection will be available worldwide from June 2017. The essential characteristics of Grand Seiko, precision, legibility, comfort and durability are nowhere more prominently expressed than in these new creations. The Spring Drive Chronograph may well be the most accurate luxury chronograph in the world, offering a precision of one second a day or, in the case of the limited edition model, ten seconds a month. The dial is supremely easy to read, thanks to the diamond-cut hands and markers, extended GMT and minute hands and the Lumibrite inserts on the hands as well as the markers. 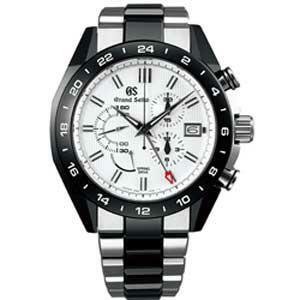 The watch is also delight to wear, primarily because of the light-weight hybrid titanium-ceramic case and bracelet. As the zirconia ceramic parts are raised slightly above the level of the titanium, the bracelet is virtually impervious to scratches and will retain its pristine appearance just as long as the watch case itself. Remarkably, given the technical difficulty of polishing ceramics, the ceramic parts in the center of the bracelet are polished to a mirror finish and the signature Grand Seiko sharpness of the angles on each component has been achieved. Zirconia ceramic is stronger and tougher than any other fine ceramic and seven times harder on the Vickers scale than stainless steel. 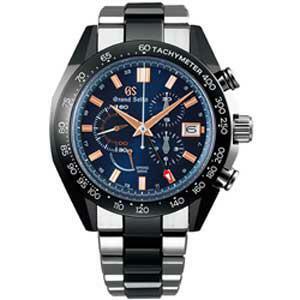 A limited edition in celebration of the tenth anniversary of the Spring Drive Chronograph GMT.